Written by the staff of the Young Life Store. Are you looking for a new way to raise funds for your YL area? Look no further than The Young Life Store! Selling shirts with us is easy and simple! 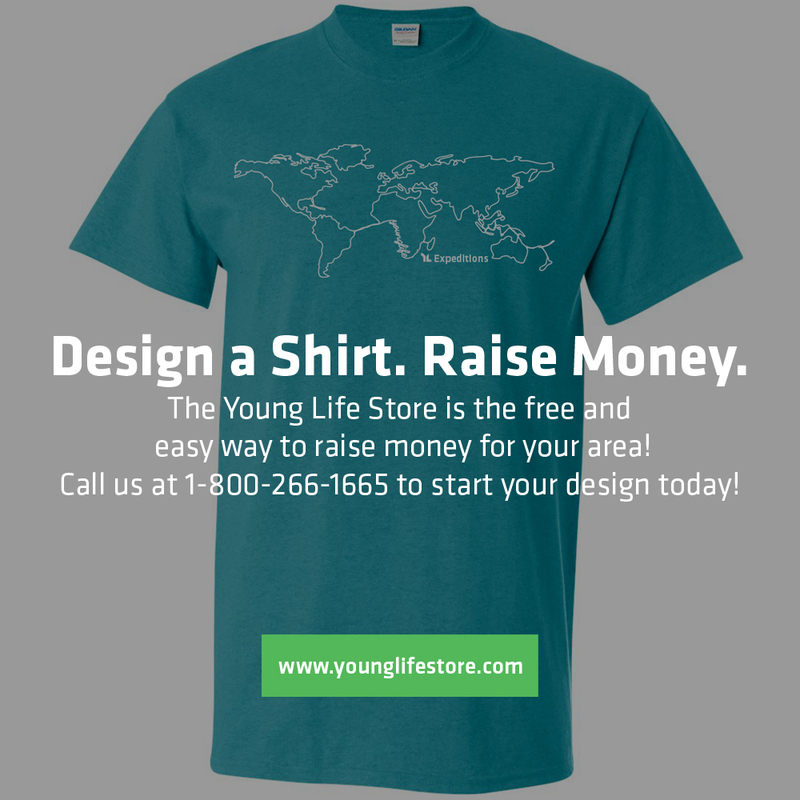 Send us your own design, pick from the many premade options on The Young Life Store, or talk to us about creating a new design from scratch for free. When ready, the product is put into the Fundraising section on the Young Life Store. Choose a date range for your fundraiser. We suggest 2 – 3 weeks. After the fundraiser is over The Young Life Store will print and ship the shirts to everyone who ordered. Get a check from the sales of your shirts to any sub account for your area!!! Read below how Mallory, with Young Life Salida, tells about her recent experience fundraising with The Young Life Store. Her area raised $1200 to help send kids to camp!